So, you want to be a college gymnast! Do you dream of wearing your favorite school’s leotard, competing 14 weekends in a row in front of thousands of fans, all cheering for you with every stuck landing? How cool is that? We want this to be every little girl’s dream; but do you actually have any idea what it will take to get there? Here are a few things the college coaches want you to know. According to the NCAA website, more than 460,000 NCAA student-athletes – more than ever before – compete in 23 sports every year. Slightly more than half of those student-athletes are men, although the gap between the numbers of male and female student-athletes has decreased over time and there are currently more women’s teams than men’s teams. During the 2015 season, a total of 1,418 women were on NCAA women’s gymnastics rosters. 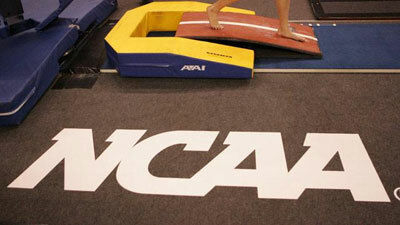 NCAA women’s gymnastics is sponsored by 82 member institutions over three divisions. The differences in the divisions depend mostly on the number of sports a school offers overall, how many athletes or teams the school has in each sport and the number of contests it has against schools in the same division. However, if you are reading this article because you want to be a collegiate gymnast, then for you, the most important difference in divisions is going to be the number of scholarships these schools can offer and the way they are tallied. Let me explain. Division I (DI) schools are permitted to have no more than 12 gymnasts on athletic grant-in-aid (scholarship) at any one point. DI Women’s Gymnastics is what the NCAA calls a head-count sport. Students who receive athletic scholarship money are counted and the total number may not exceed 12 athletes. A majority of the schools listed in the link below have a full complement of gymnastics scholarships to offer, but not all. For instance, due to budget constraints, some of the DI schools have less than 12 scholarships to offer; so, they may choose to divide the ones that they have and give partial scholarships to individuals in order to reach the maximum level of 12 gymnasts receiving scholarship money on their teams. Also, the Ivy League schools, which many consider the most prestigious academic institutions in the country, compete in Division I, but are not permitted to offer athletic scholarships under the Ivy League rules. They are, however, permitted to offer need-based financial aid on a case-by-case basis per family in the form of financial grants. Therefore, every school on the DI list below can offer some form of scholarship to those who qualify. Division II schools are different from DI in that they are only permitted to offer up to six full scholarships. However, the school can determine how they are divided. 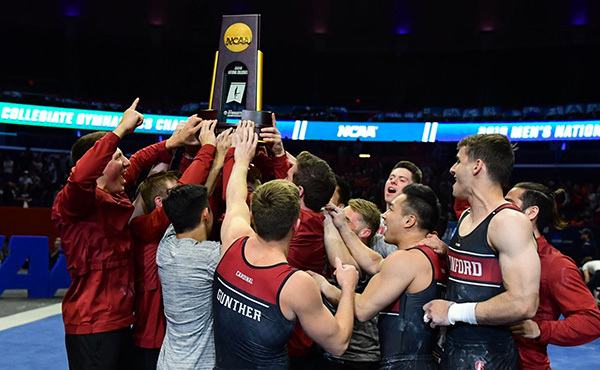 They are not limited by the head count rule, so they can have six gymnasts on full scholarships, 12 gymnasts on 50 percent scholarships, 18 gymnasts on one-third scholarships, or any combination of the above to get to six in total number. Division III schools do not offer athletic scholarships. 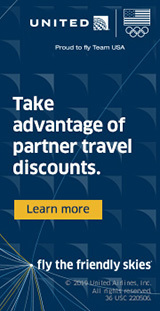 Find out more about DIII by clicking on this link: http://www.ncaa.org/about?division=d3. You can check out the schools that sponsor women’s gymnastics by division by clicking on the appropriate link: Division I | Division II | Division III. Why Are College Gymnasts Special? If you are good at math (and we hope you are), you have realized what we mean when we say collegiate gymnasts are special. You have realized that if all 82 women’s gymnastics schools had 12 full scholarships to give, the total number of available scholarships would equal 984. Divide 984 by four, since most gymnasts utilize their scholarship for four years, and you arrive at 246 available scholarships per year. In addition, because not all 82 schools are permitted to offer scholarships, that total number is even less than 246. The point is that getting a college scholarship in women’s gymnastics is very competitive and we want to help you set yourself apart. West Chester University Head Coach, Barbara Cordova, would like to remind you that, “Even if you are never offered a scholarship, there are many reasons to still try to become part of a college team.” According to the NCAA website, NCAA member schools support their student-athletes’ academic success by providing state-of-the-art technology, tutoring and access to academic advisors. That means, even if you are not on scholarship, you are allowed to receive academic support via tutors and mentors plus other technology that you would otherwise need to secure on your own. Student-athletes receive benefits that other students do not get. Some schools issue iPads to student-athletes to use as they see fit regardless of whether or not they are on scholarship. Many schools offer priority registration for every student-athlete. Most schools offer athletic academic advisors to help guide their student-athletes through their four years. It pays to have someone helping you and tracking your progress as you go through college. As a result, more than eight out of 10 student-athletes will earn a bachelor’s degree, and more than 35 percent will earn a postgraduate degree. It is important to note that after your four years of college gymnastics, you are going to be “turning pro” in something other than your sport. Participating in collegiate gymnastics is extraordinary and graduating with your academic degree is most paramount. Graduation rates for student-athletes (as a group) are higher than those of their peers in the general student body. Two-thirds of former student-athletes agree that playing an NCAA sport helped prepare them for life after graduation. In addition to practicing, competing and studying, student-athletes also give back to their communities through volunteer service and national charity partnerships. So, even if you never earn a scholarship, the benefits to being a team member are immeasurable. The reason for this article is to update the recruiting timeline from a previous article. However, during the research it was discovered that, for many schools, the timeline has never really changed while for others, it has sped up dramatically. 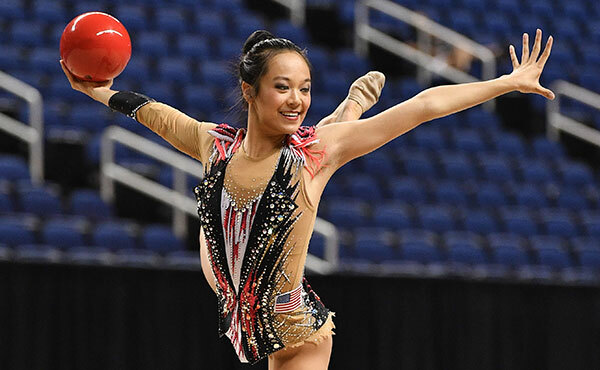 When asked the question, “When should recruits first contact you?” Collegiate gymnastics programs’ answers varied from 8th grade to 11th grade. It is best to use your best judgment before reaching out to schools and follow the advice below. As there are different divisions in college gymnastics, there are also very different timelines in college gymnastics recruiting. When asked in a survey about their recruiting timeline, K.J. 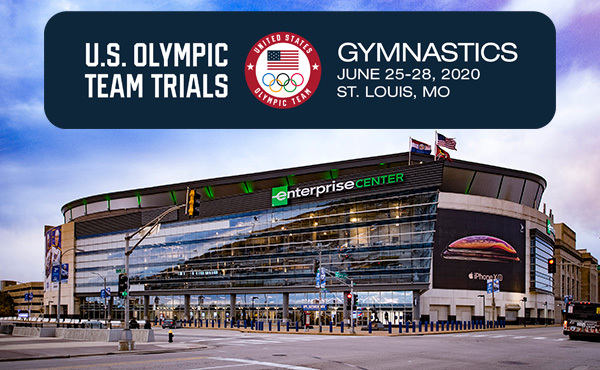 Kindler, the head coach at the University of Oklahoma, responded that they start looking at gymnasts in the 7th and 8th grades and prefer to make initial scholarship offers in the 9th and 10th grades. Her answer is not surprising, as this seems to be the current norm with the top-ranked schools in the NCAA. Craig Ballard, the assistant coach at Kent State University, responded to the survey, stating that they start looking in earnest during the 10th grade year and will make offers in the 10th and 11th grades. Peter Jansson, the head coach at the University of Illinois-Chicago, replied that they start looking at 10th and 11th graders, but wait to make initial offers during the 11th and 12th grade years. Based on these three responses, it is clear to see that everything is not equal in the recruiting timeline. Coach Jansson gives good advice in this area. “Do your research so you know if you have the skill level that a school is looking for. That way you won’t get discouraged because a school does not seem excited enough about you.” Not everyone can go to the number one gymnastics school every year. So by doing your research and selling yourself to a best-fit school, it is possible you could know where you are going before schools are even permitted to contact you. Google yourself and see what you find. There is a good chance that’s what we see about you, too. NCAA Coaches use on-line scoring webpages to see how you have done in previous competitions. Check to see if you are listed and make sure everything is current and correct. My son is a senior in high school and he is being recruited for pole vaulting. I know how exciting it is to go to the mailbox every day to see if there is information from a school we have not heard from before or new information from a school who has already shown interest. You should know that the NCAA regulates what schools can send and when they can send it. NCAA coaches cannot send any recruiting materials (including general correspondence related to athletics) or send electronic correspondence to a gymnast or her parents or legal guardians until September 1 (after June 15 for DII) at the beginning of her junior year in high school. Camp brochures, athletics questionnaires, non-athletics institutional publications and any educational material published by the NCAA may be provided at any time. After September 1 (after June 15 for DII), there are no restrictions on design, color or style of correspondence as long as it does not exceed 8.5 by 11 inches when opened in full. How Do I Know Who Has Interest in Me? You just read that no college can send you recruiting information until you start the 11th grade; so, how do you know who has an interest in you? You can talk with the coach on the phone or set up a visit to the college campus to talk with the coach in person. It is recommended that you send an initial email to each school of interest in order to get your name on their radar. If you are younger than 11th grade, the school can only provide a courtesy reply that indicates their receipt of your information. The reply cannot contain any recruiting language. Don’t get your feelings hurt when the coach doesn’t say, “We love you and we have always wanted you to come to our school.” Everyone younger than 11th grade gets the same response; but at least you will know that the coach received your initial email. If you are in 11th grade or older, you can expect a reply that includes recruiting information and instructions on how to proceed. Once your name is on the school’s radar, call the coach to introduce yourself. 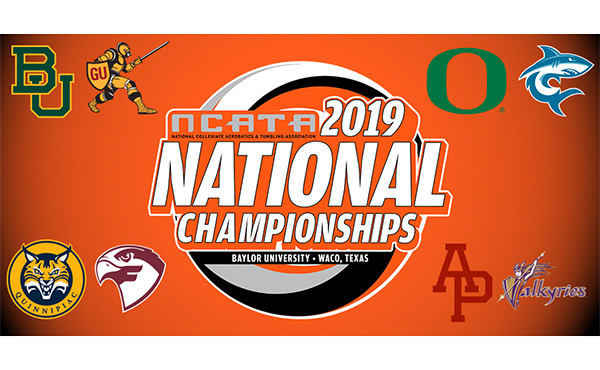 You can find the name and office phone number for every NCAA coach on the coaches’ association website by clicking on the ‘Teams’ link at http://nacgcw.roadtonationals.com/. When making calls to the coaches, plan accordingly. The published contact information is the college coach’s office phone number. If you wait until after you get home from your gymnastics practice to call, the chances of you catching him/her in the office at 9:00 p.m. is slim. You will get their voicemail. If you are younger than 11th grade and need to leave a message, remember that the college coach is not permitted to return your call. When you do finally reach them, have a plan of attack. Introduce yourself, tell them where you are from and your graduation year. To a college coach, you are a 2019 or a 2020 (graduation year). Ask them if they received your information. Ask them how they see you as a fit for their program. Based on their reply, you may want to inquire about an on-campus visit to see the school, meet the coach in person, and watch the team practice/compete. Phone calls are the best way to find out if the school has any remaining scholarships available for your year. You may learn that your dream school has already filled their scholarships for your year, even though you just started the 9th grade in high school. There are two different types of visits to NCAA institutions – official and unofficial. On an official paid visit, the school can pay for travel, food and lodging. However, this cannot take place until after the opening day of high school classes preceding the 12th grade (June 15th preceding 11th grade for DII). In the current state of recruiting, most gymnasts make several unofficial visits before deciding on where to go to school. They utilize their Official Visit during their senior year in high school and attend with the other committed gymnasts in their class. Let’s focus on the unofficial visit. On an unofficial visit, the gymnast is responsible for her own expenses. 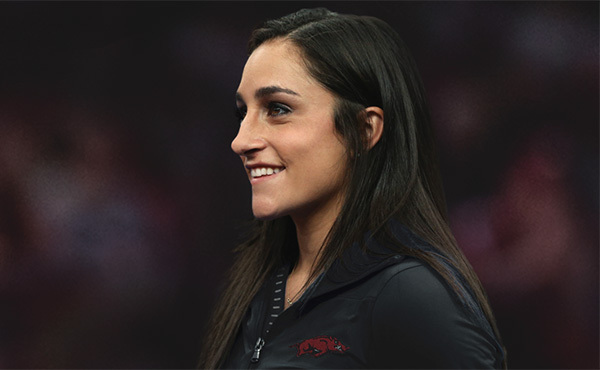 She may talk to coaches, gymnasts and other school officials while she is there, provided she is on the college campus during the conversations. For example, the coach cannot go with the family to the local restaurant to talk unless it is located within the confines of the campus perimeter. The school may also provide up to three complimentary admissions to an athletics contest while the gymnast is visiting. While you are on your visit, pay attention to what you see and hear. How much time did you spend with the head coach versus the assistant coaches? Did you get to meet with the team members and have time to ask them questions about the program? Were you provided the opportunity to speak with academic counselors/professors, athletic trainers, doctors and other staff members? What was your overall impression? Finally, could you see yourself being happy as a student at the school? Sometimes, gymnasts get injured and cannot continue competing. Would you like to be a student at a school that you chose only for gymnastics? These are all important questions to be answered before making your final decision. Make a list of all the things you liked and didn’t like for each school you visit. When you complete each list, put it away and don’t look at it until you finish all of your visits. The decision is easy when you find that your favorite school is offering you a scholarship. However, it may turn out that your third and fifth ranked schools are offering you a scholarship and you visited them five months apart. The lists you made on the day after you visited may be just the reminder you need to make your final decision. Right now, go to the NCAA Eligibility Center Quick Reference Guide and read about the necessary coursework in order to be eligible for NCAA competition. 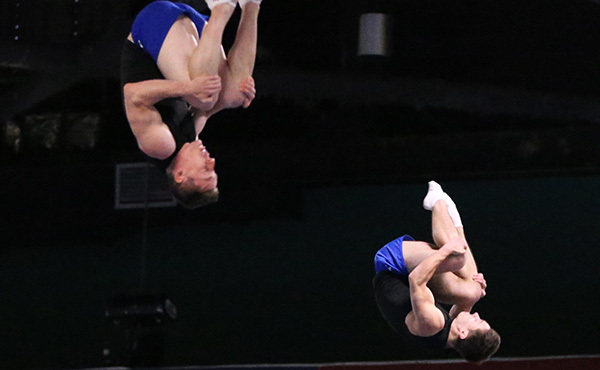 There are recent changes for 2016 graduates; so, don’t rely on what older gymnasts may have told you. At the beginning of your 11th grade year, register with the NCAA Initial Eligibility Center [formerly called the clearinghouse] at: www.eligibilitycenter.org and follow all the instructions for prospective student-athletes. During your 11th grade year, sign up for and take the ACT test and/or the SAT test and arrange to have your test scores sent directly to the Eligibility Center by using 9999 as the code. In the current recruiting model, most gymnasts make a verbal ‘commitment’ to a verbal ‘offer’ from a school. Why only verbal? In Division I, there is actually a rule that prohibits scholarship offers from being put into writing (i.e. correspondence or e-mail) until August 1 immediately prior to the senior year. Therefore, since a verbal ‘commitment’ or ‘offer’ is not in writing, the contract is only as good as the people involved in the commitment. Yes, sometimes schools back out and rescind their offers. Likewise, gymnasts have also changed their choice of schools by reneging on their original commitment in order to commit to a different school. Once you are committed, it is strongly suggested that you remain in weekly contact with your NCAA coach. Call them, e-mail them, and continue to visit them. Go to their summer camp. Show them, in every way, that you are as committed now as you were the day you said “yes” to them – and they should do the same. During November of your 12th grade year in high school, you will have your first opportunity to “sign” with your school. The National Letter of Intent (NLI) is the official way to announce your formal commitment to attend a certain institution and locks you both into a formal commitment. Oh Happy Day! We understand that this can all seem a little overwhelming. Believe us when we say, your efforts to excel in the gym and in the classroom, coupled with staying atop the recruitment process, will be worth every bit of your time and energy when you ultimately sign that National Letter of Intent and accept a gymnastics scholarship to compete at the school of your dreams. Keep up the hard work and the NCAA coaches wish you success in your search!